THANK YOU TO ALL THE COMPANIES WHO DONATED TO OUR RAFFLE!! Buff – UV Buff Sage – 2050 Reel Sage – Hats! Rio – Outbound 9F/I Rio – Gold 5F Rio Hats! C&F – Grand Slam Box Fishpond – San Juan Chest Pack Rising – Hats! Frank Smethurst is kind of one of those fly fishing rockstar dudes. 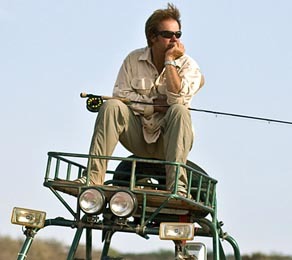 Maybe most famous for being the guy sprinting down the beaches of Baja with a fly rod in the movie Running Down the Man, maybe you've seen him in Eastern Rises. Or maybe on the Sportsman Channel catching probable world record brown trout while filming TUs On the Rise. Even if you haven't seen him on your television before, you won't want to miss your chance to meet him here! And here are some of the others we’re looking forward to seeing this year.